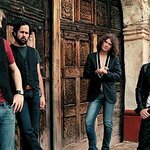 Rockers The Killers are to join Coldplay on stage for a special charity concert. The exclusive gig will celebrate the launch of Heroes, the new album that aims to raise money for War Child and features a series of once-in-a-lifetime collaborations between some of the best known names in the music world and up-and-coming stars – a concept that mirrors one of the intrinsic aims of War Child’s worldwide efforts in war zones across the world – to place faith in the next generation. 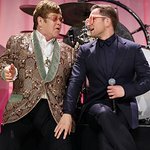 The concert will take place at the newly renamed O2 Shepherd’s Bush Empire in London on February 18 in front of 2,000 fans. Tickets to the event are £50 and will be available via a lottery system. To enter the lottery, you will need to register your details and registration will commence at 9am on Friday 30th January. “In our eyes, War Child is one of the world’s most important charities, and The Killers are one of our favorite bands, so playing this concert is an absolute pleasure for us,” Coldplay singer Chris Martin said in a statement. Ticket registrations will be available at the War Child website.